When Messianic Gentiles join in with the Jewish people on fasts such as the Ninth of Av they are participating in hastening the redemption and the return of our Messiah Yeshua. We are in the stretch of time on the Jewish calendar known as “The Three Weeks,” or Bein HaMetzarim (“Between the Straights,” בין המצרים). It is the three-week period between the Fast of Tammuz and the Ninth of Av. Both are fast days connected with the destruction of the Temple and the current state of exile. Jews around the world are united together to fast, pray, and repent for not only the current state of the Jewish nation but also of the whole world. Therefore, it saddens me when I mention this period of time in conversations with other Gentiles like myself who are participants in Messianic Judaism in one way or another. Many non-Jewish disciples of Yeshua with whom I come into contact express a lack of interest and disconnect with these fast days and the traditions that surround them. They dismiss them as “traditions of men” that are “not biblical, just Jewish,” as if somehow just because they are Jewish they are not for us or, worse yet, are not important. “The fast of the fourth month” is the Fast of Tammuz and “the fast of the fifth” is the Ninth of Av. The prophet does not say “your fast” but “the fast” implying that these are divinely sanctioned fast days. Furthermore we are told that in the Messianic Kingdom these days will become days of joy and gladness. For Israel, their mourning will be turned into rejoicing, but one will be able to fully appreciate the joy of the restoration of the Messianic Kingdom only by mourning for the exile in this current era. How can Messianic Gentiles fully appreciate turning these fasts into feasts if we don’t participate in them now? These fasts are kingdom-related. Second, I think we can learn something from the book of Job, which is one of the few biblical texts that are traditionally permitted to be read on the Ninth of Av. 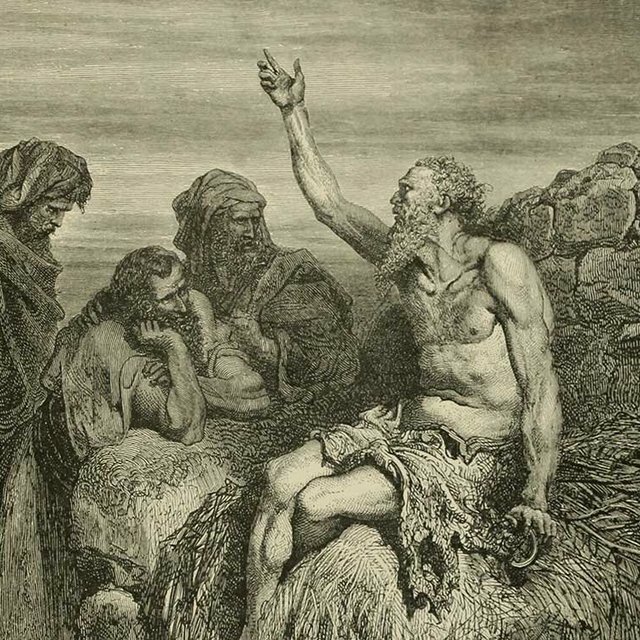 While some of the sages debated whether or not Job was Jewish, most rabbis hold the view that he was a pious God-fearing Gentile. There is also a tradition that Job kept the Torah, even so far as to voluntarily keep the tithing commandments that are applicable only within the land of Israel. The words that Jeremiah uses of Israel and her suffering are much the same as those used by Job and his suffering; hence … [Pesikta DeRav Kahana shows that the parallels are a] reassurance to Israel that as the outcome for Job was comfort for his suffering, so the outcome for Israel will be comfort for her suffering. What then can Messianic Gentiles learn from Job? 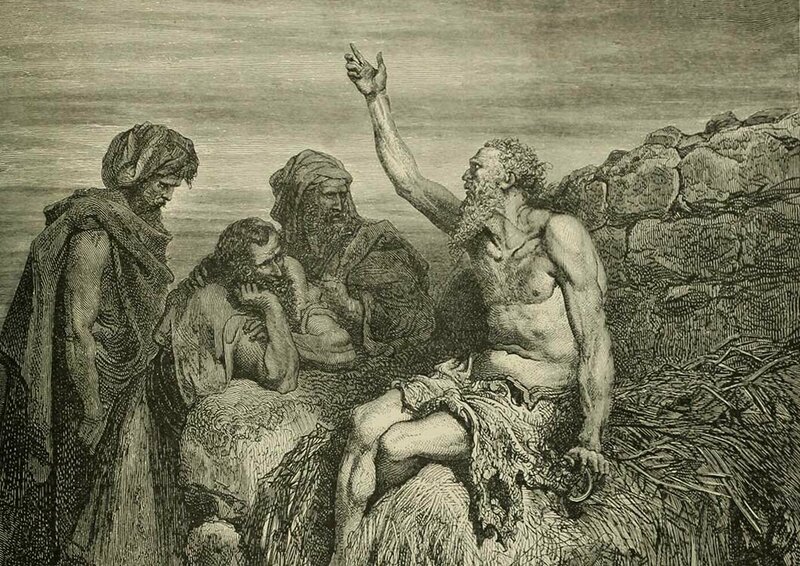 In the Jewish mindset, Job was a righteous Gentile among the nations who loved God’s Torah so much that he took upon himself commandments that he wasn’t even obligated to observe. Additionally, his suffering aided the Jewish people. When Messianic Gentiles join in with the Jewish people on fasts such as the Ninth of Av they are participating in hastening the redemption and the return of our Messiah Yeshua. Additionally, those who fast and mourn now will fully appreciate when, in the Messianic Era, these biblical times of mourning will be turned into times of rejoicing. Commenting on Pesikta DeRav Kahana 16:6. See William G. Braude, Pesikta De-Rab Kahana (Philadelphia, PA: JPS, 2002), 393.